Dinner…what to do, what to do…hmmm. Nearly ever week I find myself asking my little family, “What do you want for dinner”? Salmon Pesto Pasta is almost more popular in our house than homemade pizza. No. Really. It is. And, what cracks me up, is it’s a recipe I threw together one evening after opening the fridge and discovering, with utter frustration, that I had about a 1/2 lb of cooked salmon leftover from our Wednesday Family Dinner night. Wednesday Family Dinner night is a tradition we started in our home when our eldest daughter was about a year old. The concept was simple: every Wednesday night, without fail, my husband’s mother, brothers, sister, and extended family were invited over for a meal. The intention was simple too: bring everyone together once a week so our daughter would get to know her extremely large family and vice versa. In the beginning, it was all a bit awkward. Everyone wanted to bring something or wanted to lend a hand or felt they had to do act like a guest at a dinner party but, in time, we settled into a lovely routine that turned a “hump-night-meal” into something very special…family time. My mother-in-law, who’s now nearly 90, adores salmon. For her, I try to make it at least two Wednesday nights a month. The first time I made Delia Smith’s Salmon Fillet with Pesto and Pecorino, I knew I was on to a winner. Not only did Mama eat her serving but she asked for seconds! And, what’s more, everyone else liked it too. From that night on, the dish became a favourite “go-to-recipe”. But then there was that one Wednesday night when I over-bought and ended up with too much leftover salmon in the fridge. 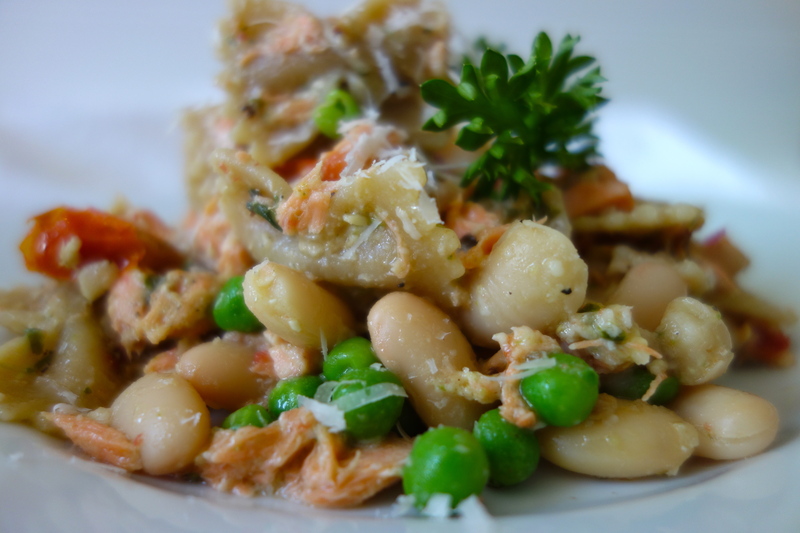 Unwilling to throw it out on Thursday night, I started playing with ingredients…a bit more pesto…a bit more pecorino…throw in some Cannellini beans and some oven roasted tomatoes…and voila…a new dish was born…Salmon Pesto Pasta. My little family loved it. The test, however, was Wednesday Family Dinner night…would everyone else like it? I still remember the first time I brought it to the table. It was a beautiful spring day…the salmon was served in a big white bowl, with a lush green salad and some crusty garlic bread on the side. “What’s this, Kim?”, my sister-in-law asked. Before I had a chance to answer, I heard someone say, “Wow! This is gorgeous! !” That’s all it took. Salmon Pesto Pasta was created from a “waste not want not” belief but it’s staying power is all in its taste. I’ve since figured out how to make this dish from scratch, not using leftovers. I’m sure you’re going to love it. With Lent coming up it’s the perfect Friday night meat-free meal, but it’s also just right for any family dinner night. 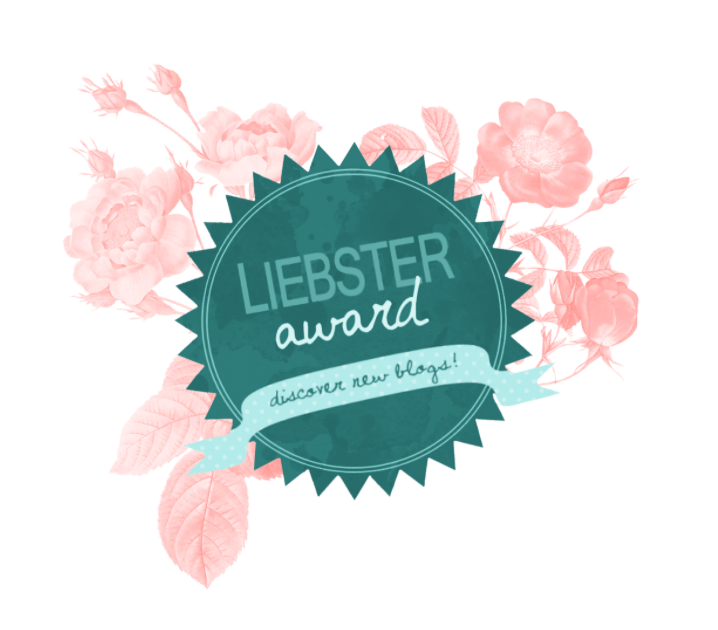 Make it and let me know how you get on or what changes you’d make. Cheers! 1. Pre-heat oven to 230°C/450°F/gas mark 8. Line a baking tray with aluminium and top with a sheet of parchment paper. 2. Rinse the salmon, pat dry with kitchen roll (paper towel), and, if needed, remove any bones you can feel when you run your hand across the top of the salmon. 3. Put the salmon on the parchment paper and pour the lemon juice over it. 4. Salt and pepper, as desired. 5. 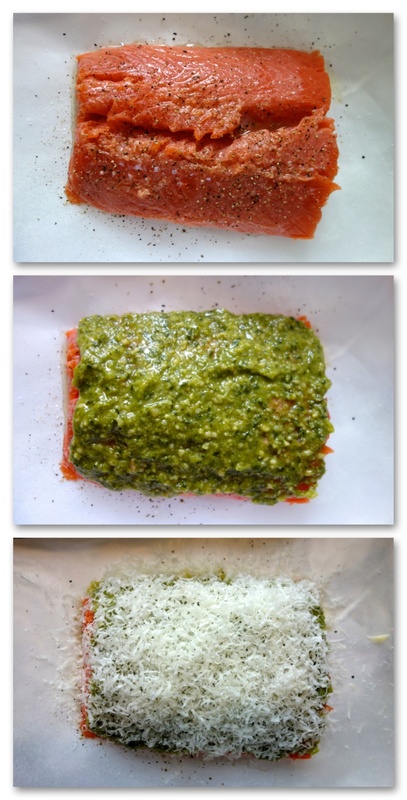 Top the salmon with 3 tablespoons pesto and 2 tablespoons pecorino. 6. Bake in oven for 15-20 minutes or until the salmon is cooked all the way through. 7. While the salmon is baking, cook up the pasta as per the directions on the box. 9. When the pasta is al dente, drain, and put in a large mixing bowl. 10. When the peas are cooked through, drain, and add to the mixing bowl. 11. When the salmon is done, let it cool slightly, shred with two forks, add to the mixing bowl, discarding the skin. 12. Add the oven-roasted tomatoes, the cannellini beans, the remaining pesto, and the pecorino. Mix well, taste, add more pesto, pecorino, salt and pepper, if desired. 13. Top with a grating of pecorino and serve immediately.